I’m utterly thrilled about Labour’s commitment today to bring modern Light Rail to Mt Roskill. Labour’s plan will see modern light rail from Wynyard corner, through the CBD, and down Dominion Rd to Mt Roskill. We’ve committed to funding fifty percent of the capital cost, in partnership with Auckland Council. You can read more details about the policy announcement here. This is an issue that I have been campaigning on for years. I live at the far end of Dominion Rd, so congestion is a daily part of my life, like it is for so many other people in Mt Roskill. I often use the 267 or 277 bus to get into town, and while it’s usually a good service, it is at capacity. At peak times buses are full. Outside of bus-lane hours, buses are stuck in the same traffic, and Symonds St is only a couple of years away from clogging up with buses. It doesn’t have to be this way. Hundreds of cities around the world are investing in modern light rail to relieve congestion. 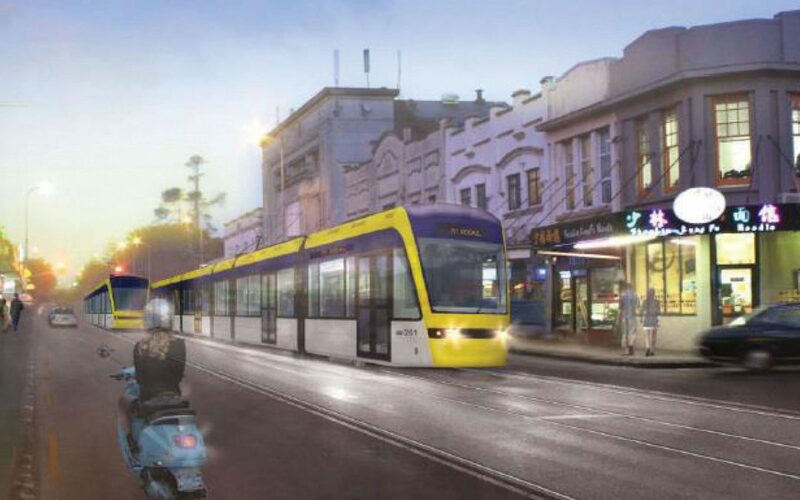 Along Dominion Rd, modern light rail units will be able to carry 300-400 people each (compared to 60 on a bus) and have five minute frequencies. It will be quick, clean, and reliable. An added benefit is that modern light rail has been shown to revitalise local town centres, something we desperately need in Mt Roskill. It’s also important to note that Auckland Transport has done the planning and run the numbers on Dominion Rd Light Rail. It stacks up as the best option to relieve congestion, and has a strong return on investment. This is about investing in the future. Auckland and Mt Roskill are experiencing incredible growth. There is simply no way that our existing roads can cope, and building more big roads through our existing suburbs is not an option. We can harness the benefits of growth and have a vibrant, exciting community that is easy to move around, if we put the investment in place now. Labour is up to the challenge. I’m campaigning to be your next MP in Mt Roskill because it’s my home – I love this community and have a direct stake in its future. For too long, we have put off long-term planning and investment in Auckland, but we can turn it around. I’ve advocated for investment in Light Rail on the Local Board and within Labour. I’m proud that my party is ready to step up and deliver.